​Phinney Estate Law is delighted to have received the 2018 Merchant of Merit award from Central Puget Sound Camp Fire. We are honored to receive this award and participate with the great work of Camp Fire, fostering excitement about the natural world and supporting today’s children to become tomorrow’s leaders. ​Whenever someone has died, a task to focus on shortly after the death is identifying if there is a valid Will. Knowing if there is a Will allows family to know who has been nominated as an executor and how money will be distributed. Having a Will also settles issues regarding the need for a bond or court supervision of the details of the probate which can have a big impact on costs and process. Ideally, the decedent will have shown a copy of the Will to the person they nominated as executor and told them where the original is kept. If not, a thorough search of their papers should take place. If you do not know if there is a Will and plan to do such a search but anticipate the possibility of conflict, it may be useful to bring an independent witness while you search. You should look in any file cabinets, in document boxes and notebooks on bookshelves, and in any lock boxes or safes that you can open. Sometimes people put their wills in zip lock bags in the freezer or hide them in book safes (which look like books but have an empty core for hiding documents). If there is a Will and the executor knows they do not want to serve, they should file it as a “Will Only” filing as soon as possible. If the executor is willing to serve, the Will most typically is filed with the opening of a probate. In order to meet the 40 day deadline, it is helpful for the executor to set up an appointment with an attorney as soon as the death certificate is available to have the attorney review the Will to identify any potential issues within and gather the information needed to draft the other pleadings needed to open the probate. Many attorneys will provide a free half hour consultation and that can be a good time to evaluate whether the attorney is a good fit for you and someone you feel comfortable working with. If you only have a copy of the Will but believe the original is merely lost and not intentionally revoked, an attorney can help you determine if that copy can be used by the court in the place of the original. Similarly, if you believe there is a Will but it is inaccessible in a safe or safety deposit box, an attorney can help you get a court order to get access to those to search. It is uncommon but not unheard of for attorneys to keep originals of their clients’ Wills. 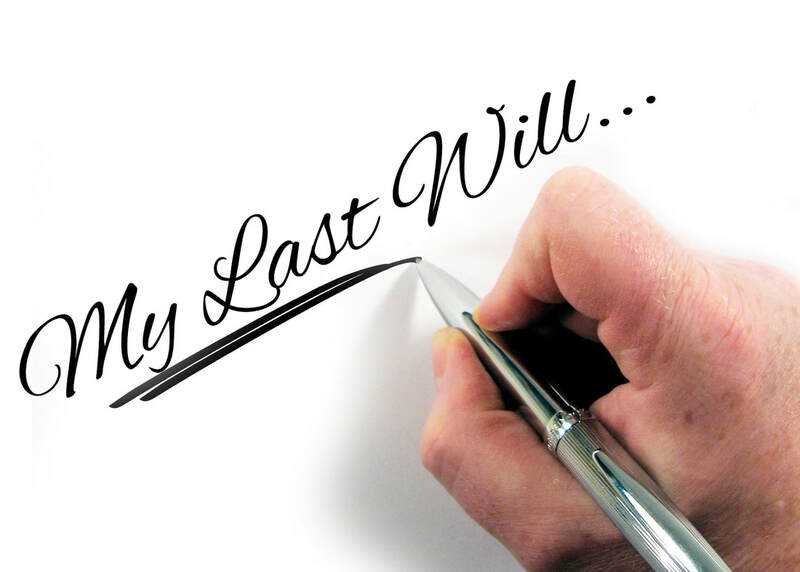 If you believe that has happened in your case you can contact the attorney and ask them to file the Will with the court or deliver it to the nominated executor. You should not be charged for this nor are you required to use that attorney to help you do a probate. Curious about the probate process? Check out our other blog posts in this series. Want to help with a probate? Phinney Estate Law offers free ½ hour consultation to all probate clients. Call to schedule your consultation, (206) 459-1908, or email us at info@phinneyestatelaw.com. ​When a loved one has just died it can be difficult to know what needs to be done. While the largest question may be whether you need to do a formal probate, that question cannot always be answered immediately and often doesn’t need to be answered until about 30 days after death. While it can provide some useful peace of mind to find an attorney and schedule a free consultation to figure that out, you can schedule that a few weeks out and doing so may give you some necessary time to gather information and take care of more immediate issues. But there are other tasks that you may need to tend to on a more immediate time table after death. It can be helpful to break down tasks that need to be done into small, manageable pieces. The most pressing matters for the family to address is who will take care of pets or children. If there’s a Will, hopefully an answer is readily clear. If such questions aren’t addressed in a Will, or a Will is hard to find, coming to family decisions around the care of children and pets are a priority. If whoever is going to take care of the children is not their legal parent and is going to need to make decisions or sign paperwork for school or health care in the immediate future, that may be a reason to open a probate, guardianship, or third party custody action on an expedited matter. If you are facing that situation, let us or any other law firm you call know you have those issues so they can move you earlier in the queue. Have someone collect the mail for you. If you are named executor in the will, you may want to check the house for items of value and make sure they are secured somewhere safe. We recommend letting other family members know you are securing the items so no one is upset to not find them in an expected place. Cancel unneeded repeat services. if there’s a gym membership, cellphone bill, or cable, or newspaper, or anything else that won’t be used, mail the service providers about the death. Delegating and working together as a family can help make these tasks easier, e.g. if each sibling takes a service provider to cancel the service of. Once these pressing concerns are dealt with and funeral or other ceremonies are complete, it’s a good time to take stock of the Estate to prepare for your initial visit with an attorney. Getting a general idea of assets held by the estate, whether those assets are real estate or financial accounts, and the debts of the estate will provide a basis to determine if you’ll need to conduct a probate. As you make this assessment keep an eye out for a Will. Note how the assets are held and if they have named beneficiaries. Going through mail and any files you find may help shed light onto debts. If there are a lot of debts and you’re worried about dealing with all of the creditors, it may be worth it to have a probate, particularly if the debts outweigh the value of assets in the estate. The executor is never personally liable for debt of an estate they’re probating. Don’t panic if you don’t have all the answers before you meet with your attorney but the more information you have, the more you will get out of that first meeting and the more the attorney will be able to determine what process is best for you to do and how to get that started. Phinney Estate Law offers free ½ hour consultation to all probate clients. Call to schedule one at (206) 459-1908 or email us at info@phinneyestatelaw.com. The probate is opened through a collection of documents: petition, the oath of the petitioner, the Will if there is one, a death certificate, and an order approved by a judge. Official notices are sent to heirs and beneficiaries, either those listed in a Will, and/or those who will inherit by law with the lack of a Will. Official notices are also sent to government agencies like the Washington State Department of Health Services and the IRS. Notice is sent to known creditors and published to inform unknown creditors. An inventory of the estate is made noting the kinds of significant assets present and their value, as well as what debts there are. Any claims from creditors are paid. Any bequests in the form of specific amounts allotted in the will, are distributed.Taxes are paid. The remaining value of the estate is divided among recipients named in the Will, or if there is no will, divided among the family who inherit under the law. Most probates last between five and twelve months. Probates that last longer than six months usually so do because there is real estate that is taking a long time to prepare for market and sell or because we are waiting on information to file the final tax returns. At Phinney Estate Law we work with clients through every step of this process. Usually clients never need to go to court and most of the work can be done by phone, mail, or email. We offer all potential clients a free ½ hour consultation to help them determine if a probate is necessary and talk in some detail about what that process might look like for their case. Some clients choose to do a lot of the work for steps 4 to 9 fairly independently, only looking to us to help when they have questions or needs forms. This can give the client a high level of control and also save on legal costs. Others prefer to have us do the bulk of the work because they are busy, emotionally overwhelmed, or simply hate this kind of paperwork. We are happy to work with clients in whatever way is best for them while still making sure they get the legal help they need to avoid errors that could get them into trouble down the road. Do I Need To Do A Probate? When someone you love has just died, figuring out what you need to do to wrap up their financial affairs can be daunting to consider. One of the first questions may people ask is “Do I need to do a probate?” Probate is one of the main ways to handle property after a person’s death. Many people are scared of probate, having heard horror stories from family and friends. But in Washington probate is not as complex or expensive as it is in many states and with the right help can usually be completed relatively quickly and without huge cost. But probate also isn’t always needed. In Washington State, if someone leaves behind more than $100,000 in assets when they die and those assets do not already named beneficiaries through jointly held accounts, Transfer-on-Death, or Payable-On-Death structuring, then you’ll likely need a probate. Also, If the estate contains real estate it will likely need to go through probate, unless the property was held titled as “Joint Ownership with Right of Survivorship” or as community property with right of survivorship. Even if the Estate is small in value and doesn’t contain real estate, it may be beneifical to do a probate anyways. For example, if someone had a lot of debts and it seems it would be overwhelming to deal with them all, court oversight and the official timelines provided by a probate, may be useful and that would be another reason to conduct a probate of the estate. Also, if the individual was already involved in any legal disputes or if someone else is responsible for their death, probate may be the only way to resolve those issues. Knowing the legal impact of how assets are titled and/or whether pending issues make probate necessary can be difficult to determine. At Phinney Estate Law we recommend that everyone facing a death get legal advice to help them determine whether they need to do a probate before acting on any assumptions they may have. We offer a free ½ hour consultation for potential probate clients at Phinney Estate Law and can often provide that advice within that time. notes about any debts or other assets you know they have and unfinished business going on in their lives at their time of death. We recommend that you call any institutions or banks where the deceased person had accounts and ask them to tell you how those accounts were titled and if they had beneficiaries. Often they may not be able to answer your questions, if you have not yet opened a probate and that is okay. But knowing and much as you can, including what they won’t tell you without your opening a probate can very helpful. We recommend you write all the information you learn down word for word and bring it with you as grief can play tricks on your memory especially if you are feeling stressed. Even if probate is not necessary, you may need to do legal process, such as a small affidavit process, a trust administration, or a beneficiary claim. A consultation can help you determine that as well. Regardless of what process you end up needing to complete, anyone who has a deceased person’s will has 40 days in which to file it with the court. You don’t need to open up a probate that quickly but if you are going to do so, it makes sense to do that at the same time. That is also generally a good deadline to set for yourself for figuring out what process you are going to go through and staring it. To make that work you should plan on trying to set up a consultation within 30 days of the person’s death if possible. To learn more about Probates read the next post in this series. Phinney Estate Law's Jamie Clausen is pleased to have been appointed to the Advisory Board for the Phinney Neighborhood Association's Greenwood Disaster Relief Advisory Board along with other leaders from the community. The Board will be advising the PNA on how to support the community from the generous donations coming in in the wake of the explosion last week. 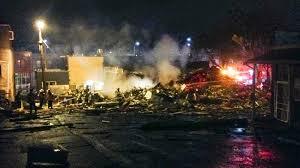 Plans are already in place to provide grants to the residents displaced by the explosion and employees at the destroyed and gravely impacted businesses. The board will be creating guidelines on how to provide continuing support to these groups and the affected businesses. The need is great and we hope clients and friends will consider making a donation to the PNA to support this important work. A legacy parenting plan is a non-legal document you leave to the individuals you select to be your child’s guardian and/or property manager to assist them in fulfilling their roles. The format and content can be whatever you want. What are those things that you have done or said as a parent of which you are particularly proud? What are the biggest mistakes you feel you have made? What are some techniques you tried as a parent that elicited an overwhelmingly positive response in your child? What have you tried that failed miserably? What are your favorite parenting books and why? The details of a difficult parenting situation that you have handled that could be the framework for handling similar circumstances. How you plan to handle expected parenting issues like dating, allowance, drugs use, fights, etc. What aspects of your guardian’s parenting you admire that led you to select them? What aspects of your property manager’s judgment you admire that led you to select them? The plan might also include a statement of what you consider your deepest values and most important lifestyle choices and the steps you have taken to help cultivate these qualities in your child. You might also want to include any family rituals and traditions that you would want carried on. You may also want to take some time to describe you children as individuals. What makes them unique? What are their strengths? What are their interests? What do they have a flair for and what talents have you tried to nurture? A few additional areas to write about could include: food restrictions and/or special needs; educational philosophy (i.e. describe your ideal school); and religious or spiritual upbringing. Communication is the single most important step in health care planning. Talk about your wishes with the people who may be called upon to speak or decide for you and your family. Why? No matter what your advance directive says, others may not fully understand your wishes. The more thoroughly you communicate, the easier it will be for everyone to respect your wishes. It will help you think about what you really want. Others will ask you questions or tell you things that will make you think about your wishes in another way. It will help your loved ones make difficult decisions with less pain, doubt, and anxiety. It may save money. Sometimes families continue medical treatments long past the point where they are helpful, simply because they are unsure what their loved one would have wanted. This is emotionally and financially costly… and unnecessary. I want my doctor to give me enough medicine to relieve my pain, even if that means that I will be drowsy or sleep more than I would otherwise. I want my doctor to give me enough medicine to relieve my pain, but I want my pain medication reduced frequently to allow me moments of lucidity. I want my Health Care Agent to explore alternative medicine treatments. I want to have personal care like shaving, nail clipping, hair brushing, and teeth brushing as long as they do not cause me pain or discomfort. I want to have my hand held and to be talked to when possible, even if I don’t seem to respond to the voice or touch of others. I want to have pictures of my loved ones in my room. I want to have flowers or live plants in my room. I want to have a hospice care. I want to be treated at home if possible. I want to have the members of my faith community told that I am sick and asked to pray for me and visit me. I want to have others by my side praying for me when possible. Advance Health Care Directives can also include directions about organ donation, autopsies, and burial instructions. This can be very useful as directives are often found and consulted before the Will. When it comes to the topics of organ donation, autopsy and burial, Advance Health Care Directives are very useful, as they are often found and consulted before the Will. It is also possible to specifically address mental health treatment in a special mental health directive. This can be very useful for a patient who has a history of mental illness such as depression, bipolarity, OCD, or paranoia, because even a duly designated Health Care Agent cannot authorize some forms of mental health treatment unless they have specific permission in such a directive. For clients who have already received a diagnosis of a serious chronic or terminal decision or a family history of such conditions, we recommend that they sit down with their medical provider to request their insight into what choices are most likely to be made and risks and benefits of the various options and incorporate that into their documents.